Classy wedding gowns from Martina Liana 2010-2011 bridal collection. Above, strapless silk taffeta dress; below, Alençon lace gown with Parisian silk chiffon accents worn with ruffle tulle cape. Mermaid style silk taffeta gown with silk organza accent. 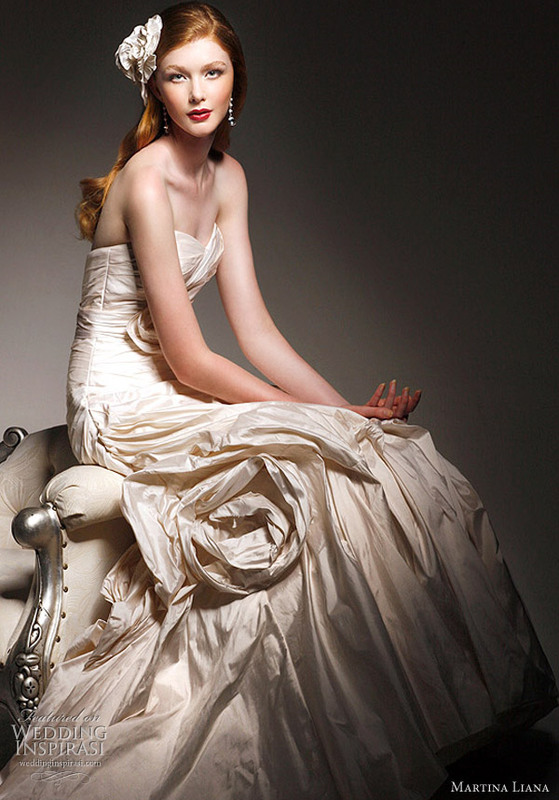 Elegant sweetheart neckline strapless lace wedding dress, accented with Parisian silk chiffon. For more wedding gowns from this collection, click here.